Growing up in the greater Paterson area of New Jersey had many perks. One of them was visiting Garrett Mountain and Lambert Castle. On a recent visit to the area, I was able to share the experience with my own daughter. 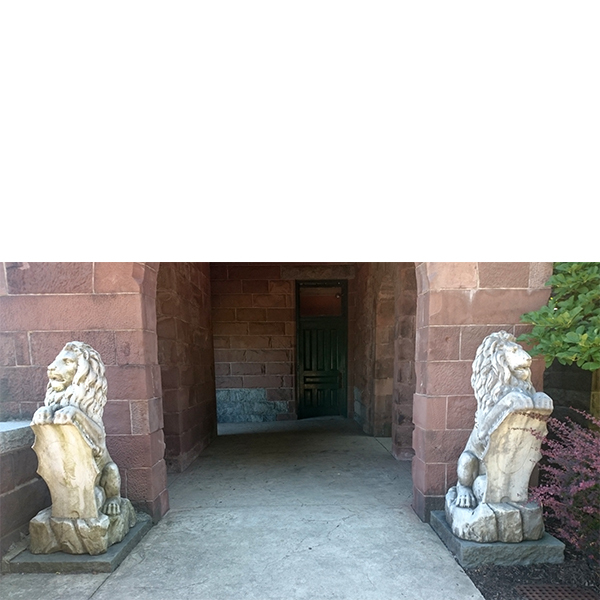 What makes Lambert Castle so special? And, what of Catholina Lambert, the man who built it and called it his home? Following his arrival, he worked for prominent silk manufacturers in Boston and New York. When one partner left the company, Lambert was offered a partnership. By the early 1860s, his business acumen allowed for the building of the Dexter Mill, a three-story factory in the heart of the Paterson. By 1890, Paterson was the ‘Silk City’ of the New World. A successful business wasn’t the only thing that Lambert grew during this time. He married Isabella Eldridge Shattuck in 1857. They had eight children together. Two lived to adulthood. The 1870s and 1880s were filled with both joy of birth and the sorrow of death, yet his business success and accompanying status in the community continued to grow. In addition to the mill in Paterson, there was a mill in Hawley, Pennsylvania. Branches were also established in Florence and Milan, Italy. In honor of his new status, he constructed his new home in one year, 1892-1893. It was inspired by the architectural style of the Medieval Revival, reminiscent of those he remembered from his youth. 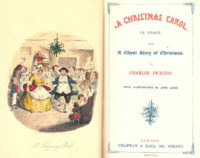 He was assisted in the design by John C. Ryle, who was from another family whose business was the manufacturing of silk. The home was built on the mountainside of the first Watchung Mountain. 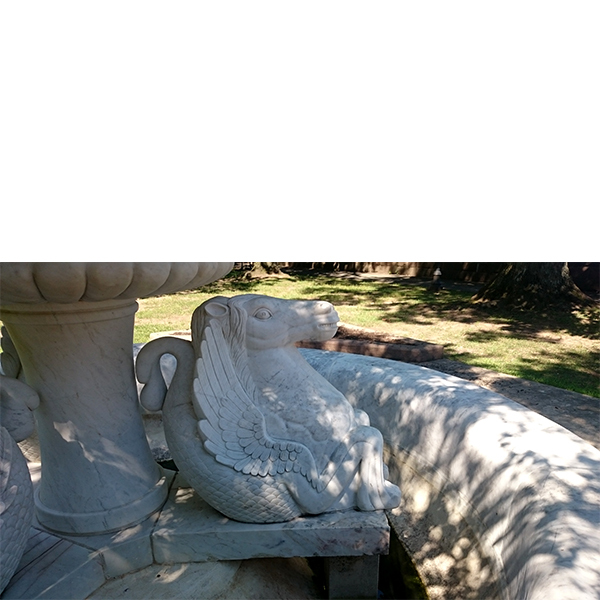 It was of sandstone (quarried locally) and granite. The project had an estimated cost of half a million dollars, which is about $12.9 M today. It was completed the following year. He named it ‘Belle Vista’ in honor of his wife, Isabella. The Lamberts social status brought many prominent visitors, including President McKinley. But that was not enough. Catholina Lambert became an avid art collector of American and British paintings and sculptures. He also had an extensive library of sacred music. According to the museum’s website, he thought about how elegant his castle would look as the backdrop for his collection. 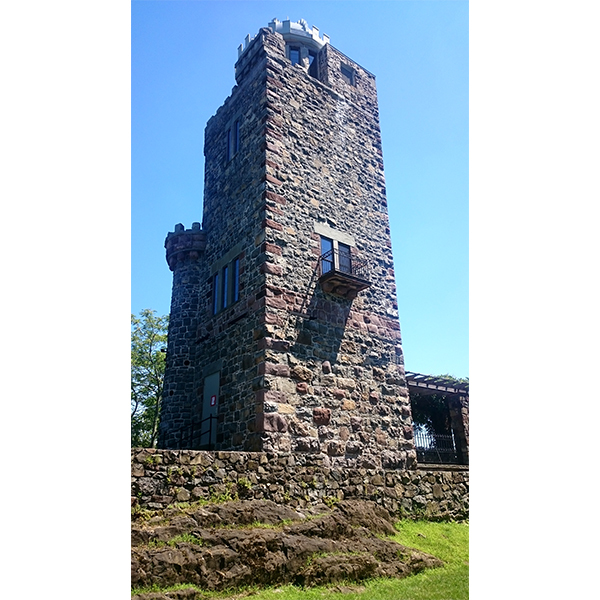 In 1896, he added a 35’ by 100’ art gallery wing as well as a 70-foot observation tower (Lambert Tower) with a panoramic view on the cliff, and a summer house. He opened the home every Saturday, so the public could view his vast art collection. View the interior of the museum. Catholina Lambert passed away on February 15, 1923. His son, Walter, decided to sell the castle to the city in 1925. For several years, the city used it as a tuberculosis hospital. Then it was used as a camp for disadvantaged children. 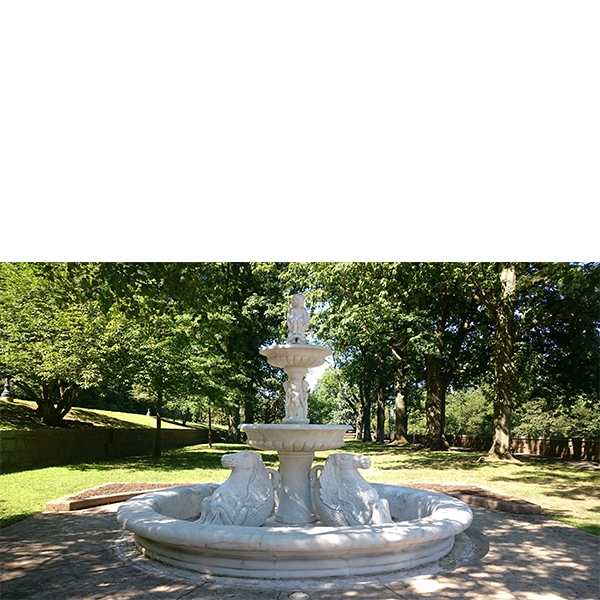 In 1934, it was bought by the Passaic County Park Commission. 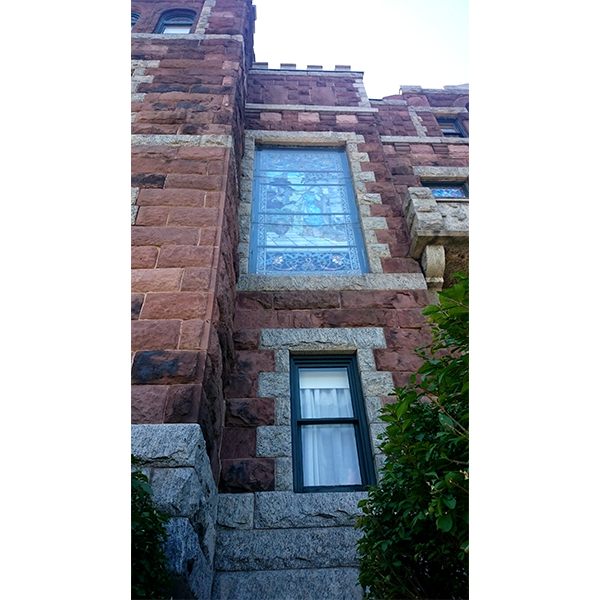 By 1976, the National and New Jersey Registers of Historic Places awarded the castle a landmark designation. 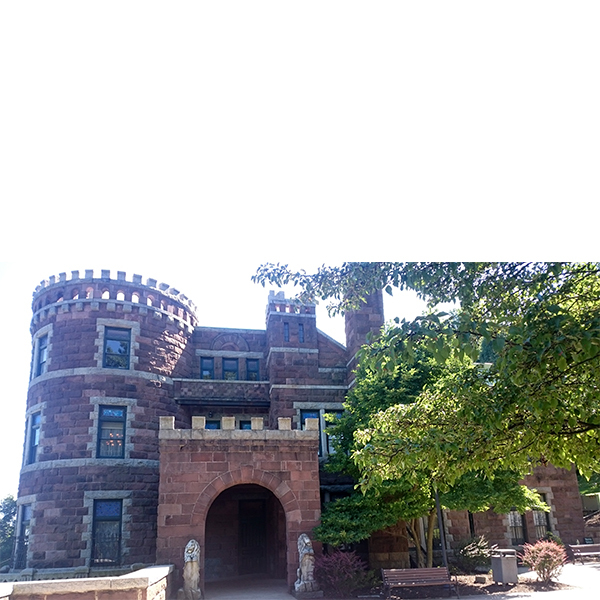 Today, the castle serves as headquarters for both the Passaic County Historical Society and the Passaic County Park Department. 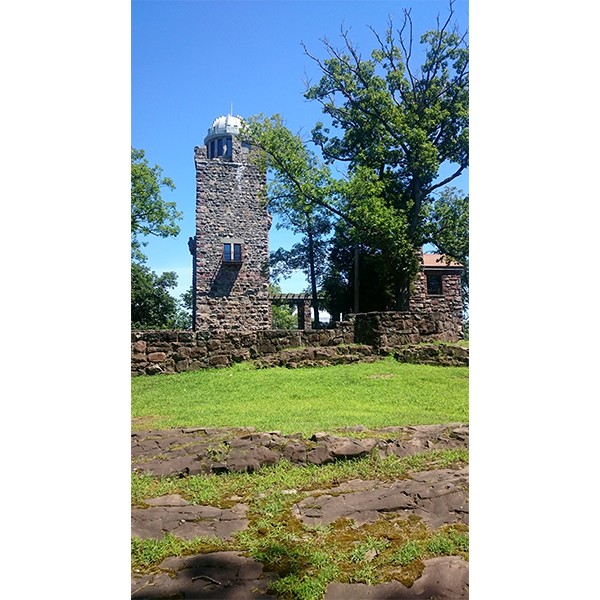 Located at 3 Valley Rd, Paterson, NJ, the castle museum, and tower are open to the public. 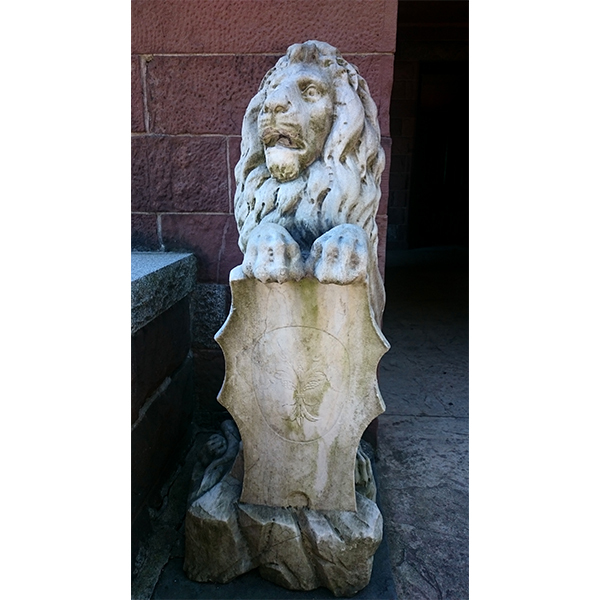 The castle is open Wednesday – Sunday, noon to 4 p.m. Unfortunately, we were there on a Tuesday and were unable to go inside. Visitors can still climb to the top of Lambert Tower. The tower was about to close on the day we visited. 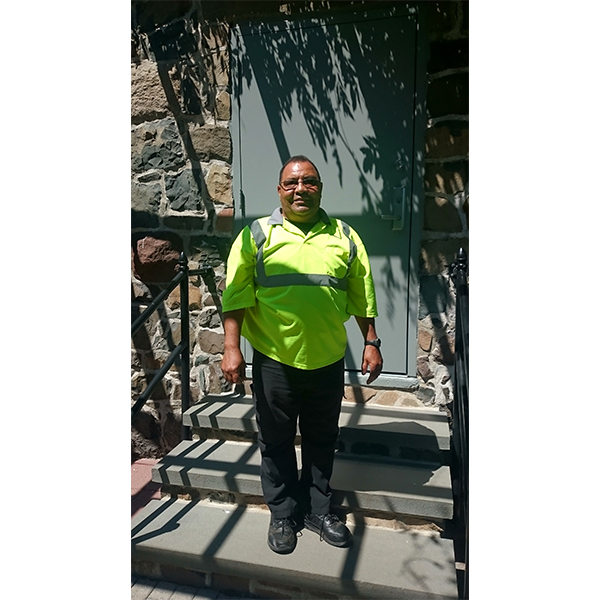 But, Robert Quinones, the park ranger in charge of the tower, allowed us time to explore and enjoy the vista and provided a historical perspective. He was kind to our inquiring minds and full of historical knowledge. The day was clear, and we could see everything; Bear Mountain, New York, the George Washington Bridge and the New York City skyline, the Verrazano Narrows Bridge, and Sandy Hook, NJ. What a view! “Catholina Lambert.” Passaic County Historical Society, 26 Jan. 2018, lambertcastleweb.wordpress.com/catholina-lambert/. “Catholina Lambert’s Castle.” National Parks Service, U.S. Department of the Interior, www.nps.gov/pagr/learn/historyculture/lambert-castle.htm. Research and first draft by Isabell Harkins. 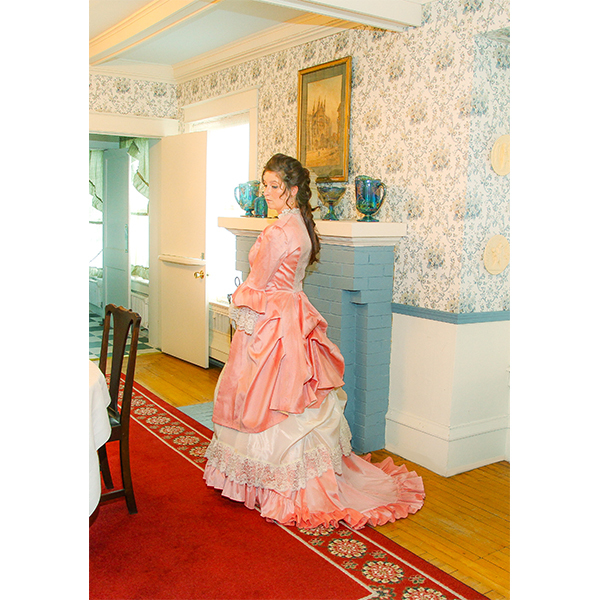 To see what styles high society was wearing when they visited his home and art gallery, check out Recollections’ Victorian and Edwardian fashions. Here are a few examples of what you’ll find!